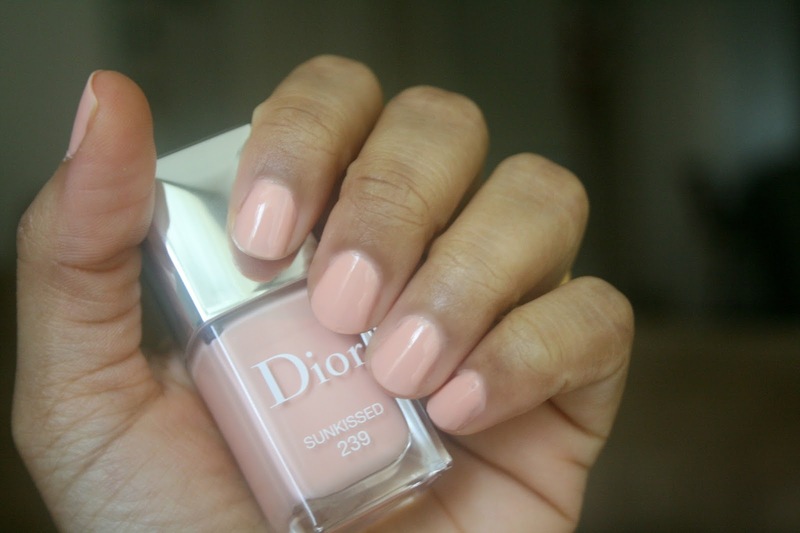 Dior Vernis Sunkissed #239 ($27; dior.com) from the Tie Dye Summer 2015 collection is a light peachy pink creme with a lovely formula and Dior’s easy to use curved brush. Sunkissed is opaque in two coats, an easy to wear pastel and also far nicer in terms of consistency than pale milky yellow Sunwashed, also from the summer collection. I had no problems with application, and drying time was quick. Sunkissed is a beautiful color for tan skin tones and a very sophisticated pastel with a streak-free formula. Surprisingly enough, I don’t have anything quite like this in my collection and absolutely love it. I’ve worn the color a bunch of times already and think it is definitely worth picking up from Dior’s summer collection. Yes, I wish I had picked it up sooner!